A little more than a week before, on Sept. 18, a dueling climate change report was issued (published by Chicago’s Heartland Institute) by the Nongovernmental International Panel on Climate Change (NIPCC), Climate Change Reconsidered II: Physical Science. The NIPCC report, in keeping with past precedent, was not accorded the same fanfare as received by the UN’s IPCC report upon its release. To the contrary, media attention for Heartland’s NIPCC report was practically nonexistent as was observed at the Sept. 18 press conference held by Heartland in Chicago to announce the release of its report. As a skeptic of global warming, a welcome mat does not exist in Chicago for The Heartland Institute as its message goes against the accepted media message of the Chicago Tribune, etc., that global warming is man-made with CO2 as the main culprit. The discredited Heartland Institute is attempting to present its new NIPCC report, Climate Change Reconsidered, as a legitimate alternative authority to the Intergovernmental Panel on Climate Change (IPCC). But the NIPCC report is not a credible scientific undertaking, and the Heartland Institute has no credibility, scientific or otherwise. We urge the public to compare and contrast these two reports on what is probably the most important public policy issue of our age. The NIPCC report was produced by a team of independent scientists with no agenda other than to find the truth. . . . The IPCC study, in contrast, is produced by a government agency, part of the United Nations. That agency’s mission is to find a human impact on climate. . . . The NIPCC report finds the human impact on climate is very small, and as a result, any warming that may be due to human greenhouse gas emissions is likely to be so small as to be invisible against a background of natural variability. The authors of the NIPCC study do not believe man-made global warming is a crisis, or that scientists know enough about how the climate works to make policy-relevant recommendations to the world’s government leaders. Without question President Obama and his administration are in lock step with the UN’s highly flawed report that calls for action now to fight climate change before time runs out. Accordingly, it’s full steam ahead for Obama and his administration. On November 1, Obama offered a presidential directive to “enhance climate preparedness and resilience.” The directive calls for an interagency Council on Climate Preparedness and Resilience in partnership with state, county, local and tribal governments, by which Obama aims to reduce U.S. greenhouse gas emissions by 17% by 2020 from 2005 levels. Even the approval of the Keystone XL pipeline hinges upon a determination of what will be the net effects of the pipeline’s impact on our climate. But what do the American people think? Might they be seeing through the story they are being fed by the mainstream media? According to the Pew Research Center’s policy priorities survey, this year the American public ranked dealing with global warming at the very bottom of 21 listed priorities. Even so 35% of Republicans, 53% of independents, and 75% of Democrats believe there is solid evidence of rising temperatures on earth. According to Michael Bastasch, the American people should be holding their champagne glasses high this holiday season as the end of 2013 marks the 17th year without global warming. Explaining away the 17-year hiatus in global despite the setbacks noted below, can be achieved only if political ideology is permitted to trump proven scientific facts. Will the Dec. 28 saga of a dramatic spectacle of climate researchers trapped in Antarctic ice (which has expanded massively during 2013) help free the mainstream media of the false global warming ice narrative? A Chinese ice breaker sent to rescue climate researchers who became trapped in ice on Christmas Day is now itself waiting and is hoping to push aside some of the ten foot thick ice preventing it from reaching the trapped researchers. An Australian ice-breaking ship got stuck in the ice, too. Hardly so, because the story doesn’t fit the unflinching template held by the mainstream media, just as the same has disregarded John Coleman (founder of The Weather Channel) and various other critics who have called the theory that human use of carbon-based fossil fuels will lead to catastrophic global warming or climate change a hoax, despite an added warning that purposeful deception to mislead might be criminal. Even if more adults do see through the hoax that is global warming, what about our youth? The Common Core Science Curriculum teaches children that humans are dangerous to the planet, that man made global warming is an accepted incontrovertible fact even though it is not, and that government action is required to fix global warming even though the taxes the Obama administration would like to impose on carbon dioxide producers would have a negligible effect on global warming but would have a devastating effect on a crumbling economy. Are parents in the know up to countering the false propaganda being taught their children? And what about the many parents who have no idea or little interest in what their children are being taught in the public schools by way of the new Common Core curriculum. Only time will tell, but the situation doesn’t offer much hope. Nancy Thorner writes for Illinois Review. Groups roundly criticized by Speaker Boehner for mobilizing against the bi-partisan bill were Heritage Action and Americans for Prosperity. He went on to call these groups “ridiculous.” Both organizations should be heralded rather than vilified for their action. As the sister organization to The Heritage Foundation, Heritage Action’s troops (http://heritageaction.com) engage in politics in the narrow sense by holding legislators accountable for their votes, while the Heritage Foundation remains dedicated to politics in the larger sense, laying out the big idea and broad themes that must underlie our nation’s policies. 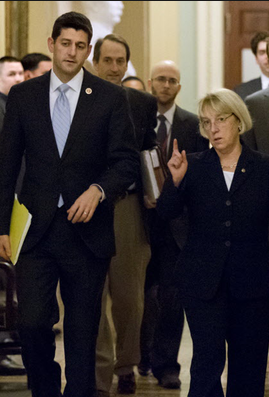 For too long, Washington has advanced a liberal agenda and served the needs of special interests. The nation desperately needs conservative voices, but in Washington even many self-described conservatives advance the ideas of the left. A new conservative direction is needed. Heritage Action is working toward that goal. What Boehner finds objectionable about the work of Heritage Action, as do many establishment Republicans in both the U.S. House and Senate, which extends also to their fellow conservative Republican House and Senate members, relates not only to the experienced Heritage Action legislative team that works the halls of Capitol Hill to tell lawmakers and their staffs how to vote to promote conservative principles, but also the activist army of grassroots organizers — now more than 300,000 strong — who get the conservative message to their local representatives and then hold them accountable for how they vote. There is even a Conservative Scorecard that rates each lawmaker. Heritage Action’s grassroots army is open to all who wish to join in the fight to take back this nation from those who advocate and are continuing to advance a Socialist agenda. The task at hand involves engaging legislators in the politics issues of the day, but also trying to convince legislators that there are more compassionate ways of helping the poor; more enlightened ways of protecting the environment; more effective ways of educating our children; healing our sick; and tending to our elderly than to rely on the invisible foot of a distant bureaucracy. Thorner has been a member of the Heritage Action grassroots army for two years. Chip Borman is the Upper Midwest Regional Coordinator of Heritage Action which includes the state of Illinois. If interested in becoming a member of Heritage Action’s grassroots army, contact Mr. Borman at Chip.Borman@heritageaction.com. This fight is somewhat different…. I believe that this split in the “movement” is not totally left versus right. This is also between “Inside” and “outside”. Those Republicans on the “inside” want to get re-elected at all costs and don’t mind spending China’s borrowed money, raising taxes and increasing government’s reach to do it. The worst part is them telling activists to get out of the way until we are needed at the next election time. Insiders want to be held accountable only at elections, when the choice is an either/or choice of Republican or Worse. Inside Republicans know that they will win that choice. Outside conservatives want to have a voice in their government – and not just at election time. What we see here is Inside Republicans frustrated with the success of those that are demanding a smaller, limited government. The success of the grass roots in stopping the Farm (food stamp) Bill and our success in bringing the truth of ObamaCare to light has made the insiders nervous. I believe that if we didn’t express our opinions about the unfair, unworkable and un-American Health Insurance Scheme, most inside Republicans would have been happy to foist that on the American People so long as it didn’t interfere with their next election. At election time, they counted on an easy re-election because they had taken 39 meaningless votes against an unpopular policy while the Democrat was 100% for it. No matter the actual damage of the policy – they wanted the political win. The accuse us of helping the Democrats, as if that’s our only choice: take what they give us or throw them out. We can speak up, we can score the conservative position, we can tell them (politely) that this is not leading down a path of limited government, we can publish our opinions for all to see, we can be angry, we can be supportive, we can organize and we can write. In short we can hold them accountable, and not just at election time. Insiders hate that. Sure, we always have the choice at election time to vote Dem or to stay home, but this means that they are essentially taking two rights away – the right to speak up and be heard; and the right to vote for a clear choice, not an echo. Obama wants “comprehensive immigration reform,” and admonishes the House to “get it done” while he suns himself in Hawaii. By inference, we should likewise ignore the disaster unrolling under Obamacare. Although the Obama administration is quick to point out that deportation of illegal immigrants has greatly increased, Fox News reported on Thursday, December 19, that during the 2013 fiscal year, which ended on September 30, the Obama administration deported just 1% of illegal immigrants living within the interior of the U.S. Moreover, the U.S. Immigration and Customs Enforcement deported 25% less illegal immigrants in 2013 they did in 2012, during which time the estimated number of illegal immigrants grew to 11.7 million. On the same day (December 19) a federal judge in Texas accused the Department of Homeland Security of hand-delivering children smuggled into the United States to their illegal immigrant parents. Not only are the illegal immigrant children being put in danger, but this dangerous practice is effectively aiding human traffickers and particularly the drug cartels, which run many of these operations. We understand and sympathize with the humanitarian and virtual amnesty part of reform, but have serious questions about enforcement. First of all, immigration enforcement doesn’t stop at the border, not that it ever really began. Effective enforcement extends throughout the country, both rural and metropolitan. At present, there are about 600 ICE agents assigned to that task, about one per 20,000 people in this country illegally. The rest are patrolling our borders, especially where the illegal immigrants are not. The key to immigration reform is immigration control. This will take hundreds if not thousands of additional agents patrolling the interior, and effective control of the borders, north, south, east and west. What are the chances these agents would be effectively deployed, when the administration selectively ignores any laws or directives from Congress deemed politically inexpedient? How do we impose the will of the people’s representatives on the Executive branch? In short, immigration reform starts at the top. It starts in 2014, then 2016, and thereafter. Getting the “job” done starts with electing men and women who put the interests of the nation ahead of their desire for a career in public office. One such legislator at the top is Majority House Republican leader, John Boehner, who has recently been vocal in his desire to deal with immigration reform in 2014. Boehner’s seriousness in moving something through the House has was duly noted by his hiring of Rebecca Tallent, a longtime advocate for immigration legislation, and one who worked many years for Sen. John McCain on immigration reform. Somewhat encouraging is that the majority of Americans, according to a recent Rasmussen Report, do not believe the deportation of illegal immigrants living in the United States is aggressive enough. Also on the side of the American people is that a majority of them want a secure border before any kind of path to citizenship is granted for the millions of illegal immigrants already living in the United States. Will legislators listen to the American people? Most often they seem to be tone deaf, doing what is in their best interests to stay in power. It doesn’t help that the President and CEO of the United States Chamber of Commerce, Thomas Donohue, a traditional ally of Republicans wants immigration reform and has promised to help Boehner get the votes to pass a series of bills to provide comprehensive reform, including a pathway to citizenship. Then too, might Obama, as he is now doing with regularity, issue an Executive Order declaring it is so by going around Congress to accomplish immigration reform? Who will stop him? Republicans seem frozen in place unable to push back even when our Constitution is under assault. A pox on both parties. Republicans want cheap labor, and Democrats are all about swelling their ranks with new voters, but where does that leave the American people? Thorner: Are America’s Best Days Really Ahead? What gifts could one expect under the “free market system” tree? Our guess might be prosperity and freedom for all. Last Tuesday, the Illinois Policy Institute hosted its annual “Gifts of the Free Market” party. This year’s festivities featured speaker Craig Zucker, a serial entrepreneur from Ohio and former co-founder and CEO of Maxfield and Oberton, makers of Buckyballs. 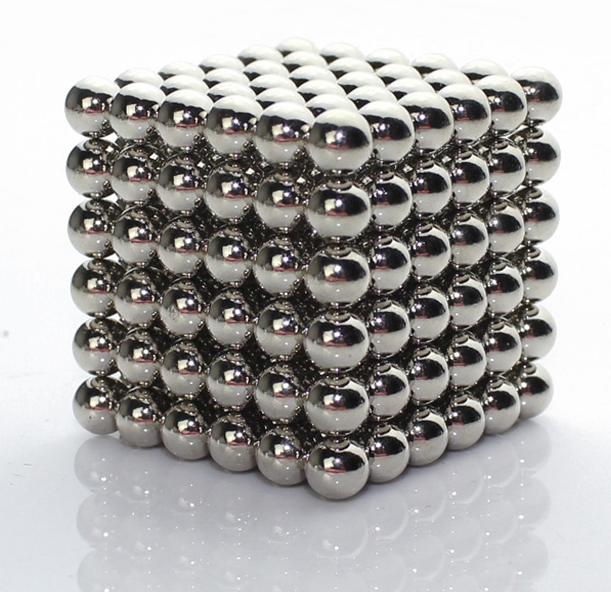 Buckyballs was named 2010’s “Best Desk Toy of the Year” by the Rolling Stone Magazine. Three years later, Zucker’s powerful ball-shaped toy magnets are banned from sale by government agencies. The Consumer Product Safety Commission took action against Zucker’s product shortly after Buckyballs became a rage for adults. Within a matter of months the business, which brought in $18 million at one point, was destroyed – with no due process. Maxfield & Oberton was the small company behind Buckyballs (and Buckycubes), an office toy that became an Internet sensation in 2009. The company sold millions of Buckyballs unites under the watchful eye of the CPSC before the product was banned. From the beginning, Buckyballs were marketed and sold to adults. Each set was wrapped with five conspicuous warnings to keep the product away from children. Zucker and his company worked with the CPSC over its expressed concern that children could swallow the powerful magnets. Maxfield & Oberton even ran a pubic-education campaign to alert consumers of the potential danger. When the age of a child thought safe to use a product increased from 13 to 14, Maxfield & Oberton changed the child warning label accordingly. In July of 2012, the CPSC sued Maxfield & Oberton thereby forcing a full recall of Buckyballs. According to the CPSC, Buckyballs were deemed defective in that unintended users could misuse it and suffer injuries. In December of 2012 Maxfield & Oberton shuttered and dissolved. A “Save Our Balls” campaign was launched to keep the business alive, but failed to raise enough to pay legal bills. In February of 2103, the CPSC invoked a little-used legal doctrine to try to force Craig Zucker, as former chief executive of Maxfield & Oberton, to pay an estimated $57 million in costs related to the recall. The $57 million amount exceeded what the company ever made in sales. Not willing to allow himself to be used by the government in a ruling which could ultimately have severe and far-reaching consequences for the future of American businesses and consumers, Zucker filed a lawsuit in October this year in the U.S. District Court of Maryland to block the CPSC from seeking damages against him. Several products for sale at “UnitedWeBall.org“, including “Liberty Balls, Founding Balls, Balls of Right, and UWB merchandise, including tees. The items range from $10 to $40. 100% of the profits go towards the legal fees of fighting the Consumer Product Safety Commission’s absurd case against Buckyballs and Craig Zucker. Many free marketers see Zucker’s case as one to watch for the country’s free market future. If government wins over Zucker, a precedent will be set for agencies to go after an entrepreneur or officer of a company and hold him or her personally responsible for his or her company’s actions, even if no laws or regulations were violated. The free market system allows a vibrant entrepreneurial environment to flourish and create a force for good, as first protected and promoted by our Founding Fathers. Free enterprise must be allowed to survive and flourish for her to remain strong and competitive, for it is freedom that allows the human spirit to soar to accomplish, invent, and create new products unhindered by government regulations and control. At this time of year and beyond, courageous Americans like Craig Zucker should be celebrated and cheered on to stand against this nation’s direction toward centralized government and nanny statism. Late yesterday afternoon the House approved the bipartisan Ryan/Murray budget proposal clearing the way to have it approved by the Senate and signed into law by President Obama. The final vote was 332-94. Clear majorities of both Republicans and Democrats supported the compromise measure. I can’t speak for Democrats, but I can speak as a conservative Republican over my great disappointment and regret that nothing was done to make a substantial down payment toward fixing the spending and debt crisis facing this nation in what amounted to an opportunity to make some headway through the first budget conference in four years. How could it be that a majority of Republicans voted for a scam deal that actually increases spending by $63 billion in the short-term, with no entitlement savings in the future. Worse yet is that the deal actually raises “fees,” which in Washington language stands for taxes. Am I to cry “boo hoo” for Republican legislators and pundits who believe they are hated by the American people, despite a recent December 12th Quinnipiac poll numbers that tells a different story. It is President Obama who should be concerned. His job approval stands at 38% with the American people; 34% approve of Obamacare; Obama rates 37% at handling the economy 37%; and, most devastating, 52% of the American people think Obama is not honest or trustworthy. Despite this positive news, Republican legislators remain scared out of their wits, shell-shocked might be a better description. Merely thoughts about another government shutdown happening so soon after the one of a month or so ago was overwhelming to House Republicans, and particularly to House Majority Leader John Boehner, who publicly chastised conservative groups for bad-mouthng the proposed two-year budget deal. No way were a majority of House Republicans willing to risk blame for yet another shutdown by not voting for the Ryan/Murray budget proposal. Even so, Republicans who voted “yes” must have had reservations about a proposal that spends money now, but which promises to save money later on, knowing that such a pie-in-the-sky concept is devoid of any reality. In kindness to “yes” Republicans, might they be forgiven for looking ahead to the elections of 2014? After all, fear of messing up is a common enough concern with all of us. When considering the Obamacare fiasco and its negative coverage in the news, just how realistic was it for members of the Republican Party to be terrified of duplicating a prior shutdown that most Americans have forgotten about? Although at the time the shutdown did capture the news headlines and kept the story alive for as long as the shutdown was in progress, the American people, having short-term memories, have moved on. This was brought home in a December 9th column by Charlie Cook, “A Historic Collapse,” in which Cook wrote of the most dramatic shift he had ever seen short term in his 40 years of being involved in politics. It happened in mid-October when Republicans soared to a three point edge over Democrats in the generic ballot when asked the question of whether voters would like Republicans or Democrats to control the House. This should be good news for the Republican Party? Not so for establishment Republicans. What infuriates conservatives the most is the lack of drive (cojones) displayed time and again by so-called establishment Republicans. Lacking the will to fight, Republicans consistently cave in to the whims of Democrats when push comes to shove, eager to put off the battle until another day (which rarely comes), rather than standing on principle. Once elected too many Republican seem oblivious to why they were elected in the first place, more worried about keeping power than election promises made. Does it ever enter the minds of Republican legislators that those they serve and represent do care about the the massive debt and are dissatisfied with merely tinkering around the edges to pretend that something positive is happening? It should be a moral imperative for Republicans to do something about the $17 trillion debt going on $25 trillion with an unfunded liability of $90 trillion. It amounts to insanity not to act when future generations are being robbed and their futures jeopardized by the inability of Republican legislators to do what is demanded to get this nation’s financial house in order before it is too late Instead, gripped by fear, many Republicans were content to kick the can down the road accepting the Ryan/Murray proposal in order to avoid another shutdown, when as a party united Republicans would have had the ability to speak truth to the American people, most of whom have no idea what shape this nation is in. Might it be time to rotate out some of the old-timers out who behave like the House has no power under the Constitution? By voting for the Ryan/Murray bill, Republicans added $1 trillion to this nation’s already massive deficit. It is any wonder why establishment Republicans are being challenged? Shame and dereliction of duty rests on the shoulders of both Republicans and Democrats. There are real budget issues to be solved which will only become more difficult to fix (if not impossible) as time goes by. Instead, while Rome is burning legislators on both sides of the aisle are playing the blame game hoping to save their own skins, while the American people are left out in the cold with a future that is equally as bleak and troubling. Although not happening in all school districts throughout Illinois at the same time or to the same degree, several similar practices have being reported in school districts across the nation. Some might already be the norm, or might soon be the norm, in your Illinois school district where teachers are in the initial stages of employing Common Core standards to guide what skills students learn, not only when, but how. Many great literary works won’t be read or taught at all. The move is away from classics and toward informational texts such as government documents. When reading a classic speech such as Lincoln’s Gettysburg Address, students will be told to mediate on how they feel about the text and then asked to relate it to social justice. Ignored will be the virtues of honor, moral truths, right and wrong, etc., so prevalent in classic literature as revealed in their contents. In other words, students will be encouraged to think like a socialist with texts that foster extreme leftist ideology. Changing emphasis on historical events. Why Pearl Harbor should be remembered seems obvious to most of us. Consider the opening page of the slim chapter in one approved Common Core textbook devoted to World War II called “War Shock”, which features a photograph of a woman inspecting a large stockpile of thousand-pound bomb castings. As stated: The entire section is littered with questions and plenty of photos that show the destruction of Hiroshima. Just in case students would be inclined to take the American side in this conflict, the editors see to it that teachers will remind the students repeatedly that there are two sides in every war. A new interest in religion – just everything else but Christianity or Judaism. In California, a Common Core book used in middle school (“History Alive”) has an entire 65-page chapter devoted to the History of Islam which glorifies Islam and Muhammad where before there was only one page devoted to Islam, while the text about the history of Christianity and the church has been decreased. Student and family privacy tossed out. In the privacy realm: It has been revealed that non-academic, personal information is being collected through the Common Core testing consortia about students and their parents, including family income, parents’ political affiliation, their religion, and students’ disciplinary records — all without parental consent. Exhorbitant costs to school budgets. Regarding cost to Illinois: Official estimates indicate that for every $1 in federal funding states will receive from adopting Common Core, they’ll have to spend $4 to implement it. It’s much higher here in Illinois. Implementation of Common Core will cost $799 million, with federal awards totaling $66 million. This means Illinois will lose $733 million. As a federal incentive to sign on to Common Core in 2010, Illinois is the big loser financially, as are young people education-wise. Cost passed on to taxpayers. The cost to school districts is projected to reach $166 million nationwide over the next five years. This year state lawmakers experienced a sticker shock when PARC and SBAC rolled out its new tests which were twice as expensive on the average -as were previous tests — $22 to $27 per test. With 67% of the Illinois’ local districts operating at a deficit, one study shows Common Core implementation could cost local school districts $773 million over the next seven years. Do your own homework on Common Core in your school district(s). Don’t allow advocates to peg you as crazy. Show up at local school board meetings and let your opinions be heard, also at PTA meetings. It is imperative that you take the time to find out how far along your school system is in adopting Common Core standards. FOIAS are a good way to request information if a school district prefers to be secretive by being vague or in giving you the run around. Also, most districts have a curriculum director for direct interaction about Common Core. And by all means if you have children attending public schools (and even private schools) keep tabs on what and how they are being taught. Text books must be examined for bias and propaganda. No where in our Constitution is education spelled out as to its structure and scope, for the Founders wanted nearly all aspects of our lives to be governed by those who were closest to us at the local or state level. Education does relates to the 10th Amendment as state’s rights issue. We cannot allow government to grab children early on, entering them first into a government program called Kindergarten, then continuing the molding until about age 20 when they are called to serve the State. Opposition is growing against Common Core from the left, the right, and the middle in many states over concern about Common Core and its implementation, especially over the high-stakes standardized tests aligned to the Common Core State Standards. There is Common Core unrest in 17 states, Illinois is not among them, as noted in this post by Mercedes Schneider, a public school teacher, education activist, PhD. Even two Democrat-led states, New York and Massachusetts — Blue States like Illinois — are showing signs of distancing themselves from the curriculum that the Obama administration is supporting in a big way. Will Illinois be next to turn on Common Core. It is past time to take action that is really for the sake of our children, unlike school districts who use the phrase “for the children” when appealing to taxpayers for additional funding. Common Core sounds innocent enough, but what it represents and how it is applied in teaching children from K – 12 can’t be ignored. If we do so at a local, state, and national level we are ourselves to blame for what looms ahead as to the final outcome of an experimental educational system that has been put in place lock, stock and barrel without any trial runs to test the credibility of the system. This nation already ranks below other nation in math, reading and science, while we spend more money per child than any other nation but Sweden. It defies logic to expect that Common Core standards will succeed in advancing educational standards to duplicate those of other nations who spend far less but who get better results. And how long will it take teachers to get up to speed in learning how to teach the “Common Core way“? It is our children who will suffer in a educational system where one size fits all in an agenda-driven system that is laced with political bias that advances liberalism and where so-called critical thinking is considered superior to memorization in Common Core classrooms. Any one of the 10 riveting facts listed below about Common Core should set alarm bells ringing with enough intensity for concerned citizens and parents to become involved by insisting on a full accountability of what is happening in their school districts. Children should not be used as guinea pigs. This nation’s future is in the hands of those who are not willing to sit back and see the country we love become a nation that has gone far astray from the principles set forth by our Founding Fathers. Our Founding Fathers would be appalled at the way the federal government is now taking control of so many aspects of our lives by dictating what is best for us. This is Socialism. 1. Common Core rests on the faulty premise that a single, centralized entity knows what education is best for all 55 million students nationwide. 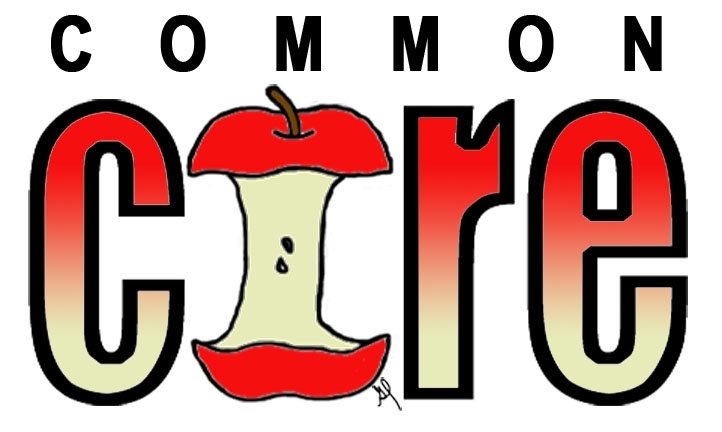 Although Common Core was approved in 2010 by 45 states, Common Core standards had yet to be written at the time states agreed to adopt Common Core. All of the 45 states initially signing on to Common Core took stimulus money from the Obama administration. Illinois signed on without hesitation. (It does hurt that Arnie Duncan is U.S. Education Secretary. Duncan was confirmed by the U.S. Senate in January of 2009 following his nomination by President Barack Obama. But before becoming secretary of education, Duncan was the chief executive officer of the Chicago Public Schools until December of 2008. 2. Common Core State Standards are academic benchmarks that outline the skills a student should have at each grade level. For example: Third graders should know how to find the perimeter of a figure A fifth-grader should be able to compare and contrast two characters from a story. 3. Common Core standards K-12, as applied to the classroom, place less emphasis on memorization such as rote memorization of multiplication tables, or of dates, or of historical facts, but instead critical thinking has become the hallmark of the Common Core class. 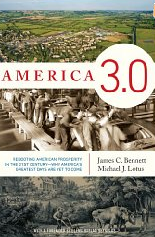 Is giving up on educating students in factual history, civics, and other social studies content a good idea, despite high school and college graduates of today knowing little about the mechanics of government or knowledge of this nation’s amazing historical narrative? Instead critical thinking (what Common Core experts are calling higher-order thinking) is to serve as the preparation for life after high school? 4. Common Core basically removes away parental and local control of education. Regarding teachers, they lose their ability to be creative in the classroom, with teaching to the test becoming more important than ever. 7. Common Core standards in Math and Language Arts were written first and are now being integrated into the curriculum of school districts throughout Illinois to some degrees and are at various stages of development. So 3 times 4 can now equal 11 so long as a student can effectively explain how they reached that answer. 8. Common Core’s “Guidance for Enhancing the Rigor of K-12 Civics, economics, Geography, and History” was released in September. Although the 110-page “C3 Framework” took three years to develop, it is confusing, overly complicated and fails to include any content whatsoever. The Framework has “written by a committee” stamped all over it. 9. Common Core videos on Scientology spew United Nations ideas that demonize the United States and its wealth and pits the rich against the poor. Videos teach students they have the right to food, housing, clothing, medicine, even a job, five of the 30 universal human rights declared by the Unite Nations in 1945. 10. Common Core Science curriculum teaches the U.N-approved man-made global warming hypothesis, which is in sync with this nation’s political agenda of promoting green energy sources as a way to curtail global warming by reducing CO2 emissions emitted by coal and oil. For over 100 years an educational system was in place that served this nation well. Those of us who can relate back to the 1950’s and before remember a time when the curriculum was left to individual teachers, or to department personnel in larger school systems, and where textbooks were likewise selected by individual teachers or department committees from a state-approved list of school textbooks. It was an era when if teachers weren’t doing their jobs, they were usually let go after having a chance to improve. This same accountability existed from grades K through graduate school until the 60’s when teacher unions were organized and took hold in states. The Illinois Education Association (IEA) is one of the strongest in the nation. Its influence is far reaching in setting teacher salaries and in determining rules and regulations under which teachers work in local school districts. Young men, having been educated under an educational system that some now view as haphazard, were prepared for work and for college. They further acquitted themselves well on the battle field when serving in World War I and II. After the wars these same ordinary men and women built businesses and proved to be productive in many ways. What happened in the interim, despite all the money this nation has plowed into education, when fast forwarding to 2010 a new education program, Common Core, was conceived and created by the National Governors Association? President Obama and his administration wasted no time in embracing the new Common Core program. Concluded by the NGA and the SCSSO was that for children to be properly educated there must be national standards, or a national curriculum, with lock-step performance testing curriculum to enable this nation to catch up with the rest of the world in science, math, and engineering. This despite that during much of the last hundred years this nation led the world in the disciplines of science, math and engineering and produced a large number of competent and brilliant scientists, doctors, engineers, architects, etc. According to an article published on December 4th at Breitbart.com, Barack Obama didn’t simply embrace a concept that others had developed. Rather, the very roots of Common Core are in the early ideas generated by Obama and his fellow radical community organizer, Bill Ayers. It was Obama who headed the Chicago Annenberg Challenge from 1995 to 1999, a school “reform” organization founded by Bill Ayers, which funneled more than $100 million into community organizations and radical education activists. Regarding the National Governors Association and the Council to Chief State School Officers, who are often cited and given credit for being the originators of Common Core standards, the real architect behind Common Core was David Coleman. As such, Coleman is responsible for bringing change to the entire American education system, even in the absence of any teaching experience. In applying for a high school teaching job Coleman was turned down, after which he worked for a consulting firm where he advised public schools and became a fixture at NYC Department of Education meetings. Coleman’s agenda: Transforming the American education system to fit his lofty ideas of what “real” education is. And it has nothing to do with learning useful skills to help you say, write a cohesive and grammatically correct resume or long division. 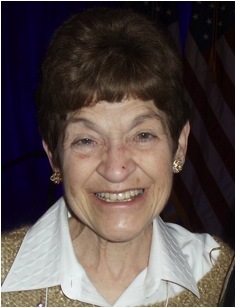 Of great concern is that Coleman was hired this past summer to lead the College Board organization. He is now redesigning the SAT’s and AP Program. In this position Coleman has the opportunity to tie what kids are learning to what colleges are expecting.